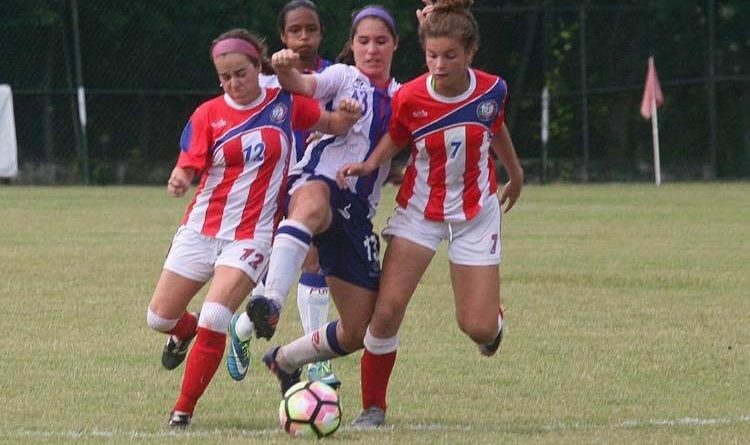 Sharon Senior, Ally Filipkowski, is coming off an amazing summer as she was selected on to U-20 Puerto Rican national women’s soccer team. FIFA regulations state that players are eligible to represent a country in international competition if player has a clear connection to the country they would like to play for. Filipkowski has a bundle of family living on the island and has visited numerous of times. Filipkowski is committed to George Washington’s women’s soccer team, so her connection with the team was able to get in touch with Puerto Rican Federation. Scouts watched her play for her club team and invited her to a camp in Boston. Filipkowski’s performance there led to another invite in Puerto Rico. About 150 girls from the U.S. were invited to the two camps. 10 girls were chosen to be a part of the traveling roster and Filipkowski was one of them. She was in complete shock. “I was completely in awe because it had been a dream of mine, but I didn’t want to get too excited until I saw the traveling roster because I wanted a chance to compete and represent my country”, said Filipkowski. This wasn’t just a special moment for her but also her family. It was a dream come true. “My mom was in awe, she didn’t really have much to say, she was just in disbelief that this far fetched idea was becoming a real thing”, said Filipkowski. The Puerto Rican started the tournament against the island of Bonaire with a great outcome, winning 11-0. That was followed by another 6-0 victory over Antigua and Barbuda. The team showed why it was considered the team to beat in their group. According to Filipkowski, all 10 of the players from the mainland are committed to Division I schools and the majority of players from the island are in university programs, Some are even getting recruited to the next level. Filipkowski had the chance to be apart of the starting 11 and this meant way more than just showcasing her skills on a big stage. “When I was selected for the starting 11 for that first game, hearing the national anthem, I felt such love for the country and I was surprised how much love you can feel for a country you don’t live in”, said Filipkowski. Although it wasn’t the outcome the team was expecting, this was an experience was an opportunity to experience international crowds. “This experience brought me closer to an island I don’t live on, it made my game so much better, and I really got to play at the international level and see how other countries play the game and how other girls work together.”, said Filipkowski.